I just have to do a little shout out to my wonderful friend, Auburn, who is an AMAZING artist and designer. 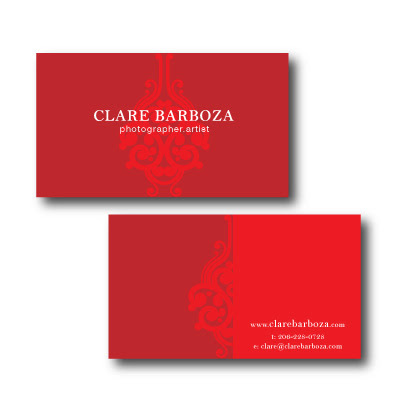 She recently did my new business cards and, seriously, I get comments on them EVERY SINGLE TIME I hand one out. Seriously. In fact, I just met with a guy about a commercial job and it turns out that the initial reason he went to my website at all was to see who designed my cards. Auburn lives in the Bay Area but regularly works with people who live elsewhere. 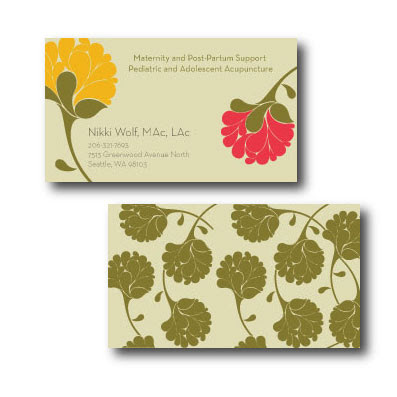 If you are in need of a new card, brochure, rate sheet, or anything design-y, you should definitely check her out. Plus, she is an incredible painter and artist and she is super fabulous and lovely....which are all even more reasons to love her. WOW!!! Those are amazing!!! Ok, that's my card there, so I'm a bit biased. But I agree, Auburn rocks!! !